Neat Dash / button set. Looks more pro then toggles. 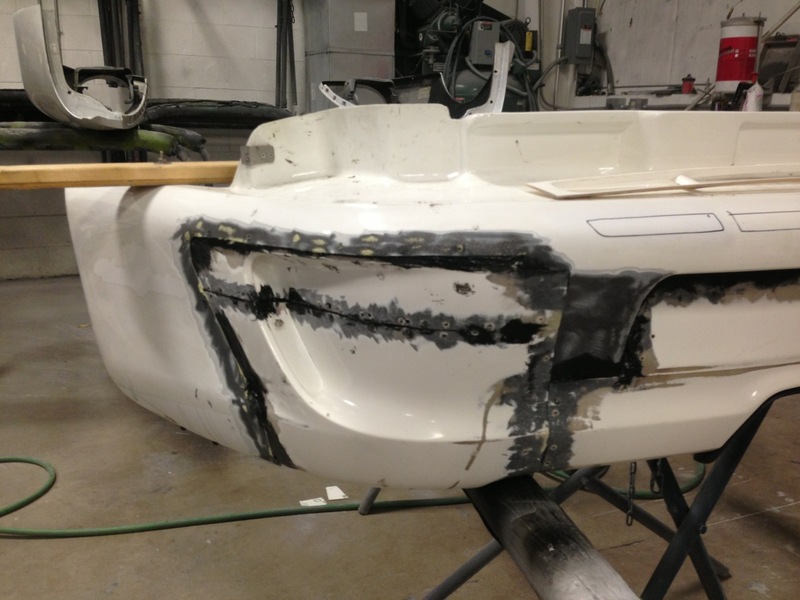 Kelly Moss is finishing up the tub. 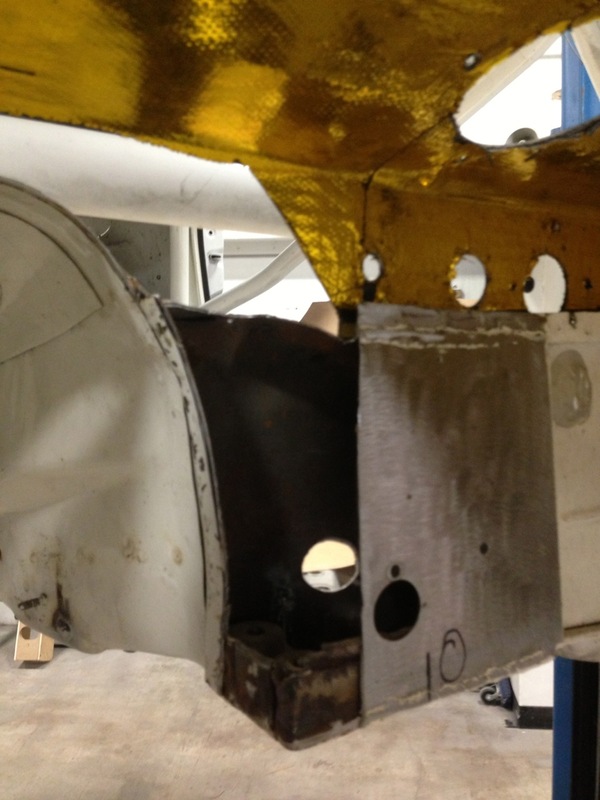 The transmission tunnel needs to be widened to accommodate the 996 Cup gearbox. 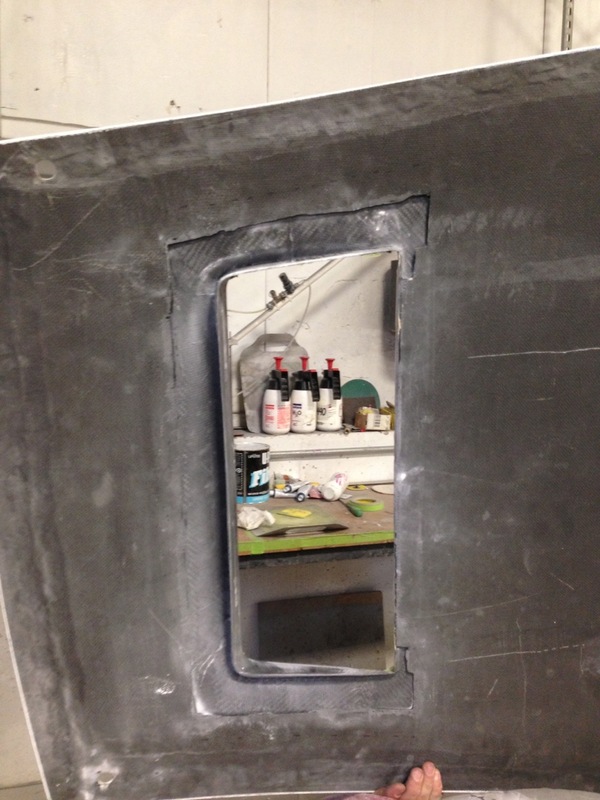 They have cut the same area out of a 996 Cup tub and will use to to complete the fabrication. 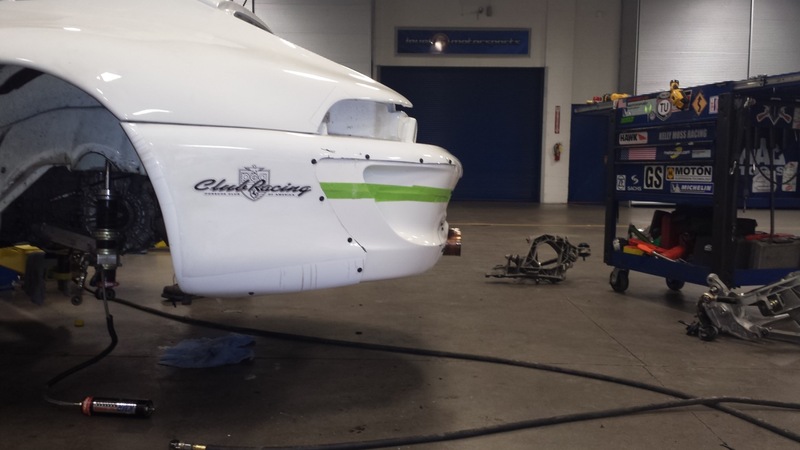 The front air jack needed to be relocated because of the ducting from the bumper, thru the trunk and out the hood. So there are now 2 located just behind the front wheel wells. 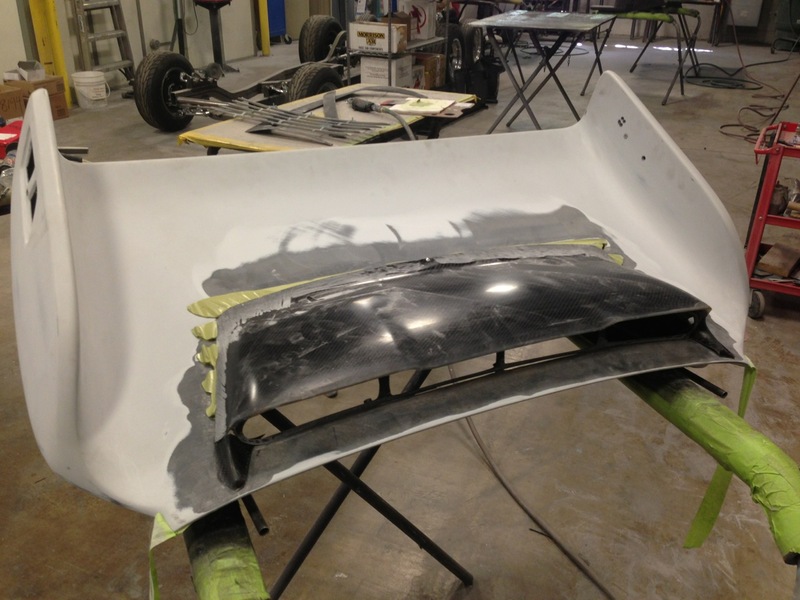 Work has started on the mock up hood. 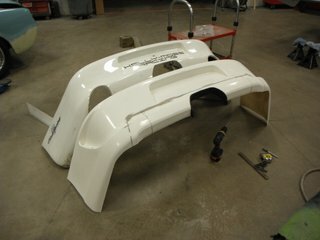 When finished it will go to Crawford to have a mold made and a new hood produced for the car. 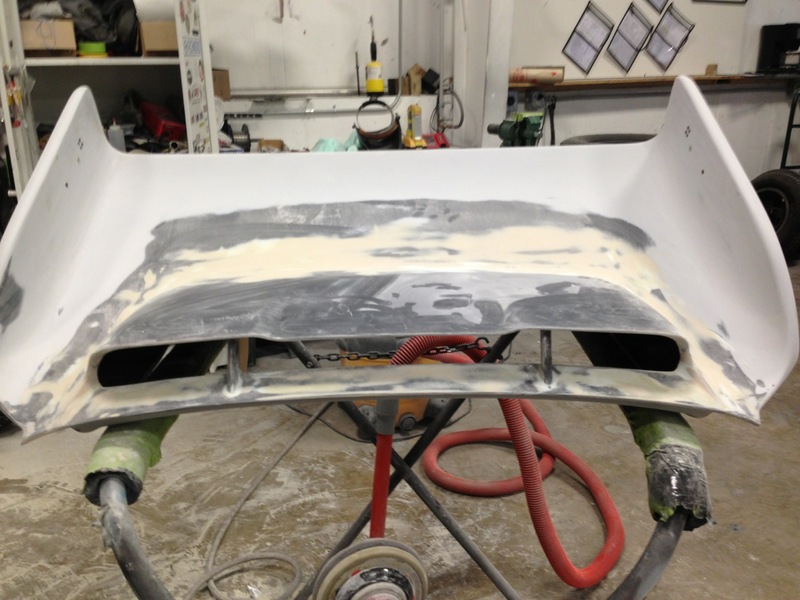 Soon the tub will be ready to go on the rotisserie, taken back to bare and repainted. So I needed to make a decision about the color and sport classic grey it is. 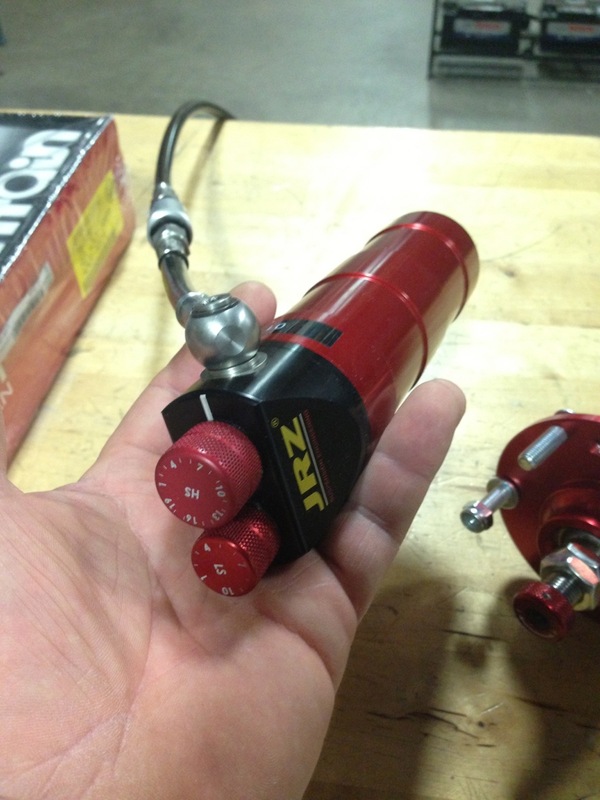 New JRZ triple adjustable shocks arrived today. Very nice hardware Mark. What spring rates are you going to use? I'm thinking about upping the spring rate on my Moton triples. Rear =1,200, front =1,100. 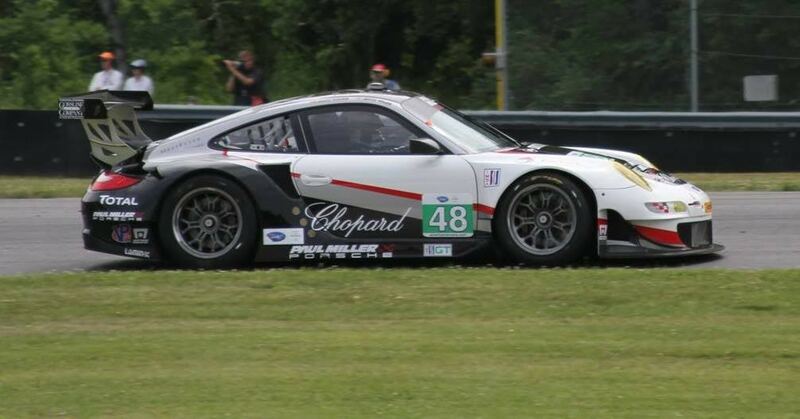 This was a perfect balance for the way the car was set up at Road America. The weight was 2,495lbs on the scales with me (and full cool shirt box, cell 1/2 full, etc) in it. However with all the front end, aero changes and weight reduction (target 2,400-2,450lbs wet with me in the car) being made to the car we'll need to test spring rates again. I expect the rear will stay at 1,200, the front may go up to 1,200 as well or thereabouts. The car came with 2 sets of BBS Motorsport 3 piece aluminum wheels and 1 set of magnesium wheels (which were the original wheels). 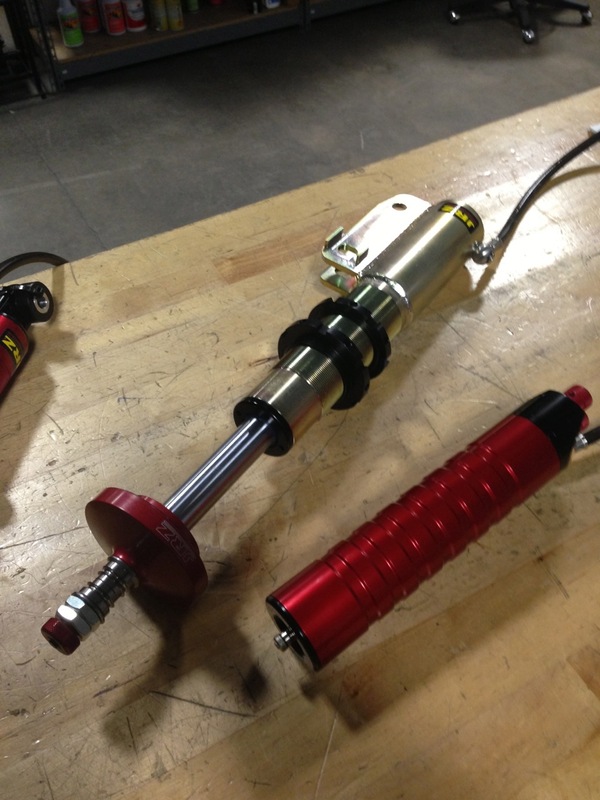 These are 10" front and 12.5" rear. For a normal 3-4 day race weekend I need 4 sets of wheels (scrubs, 2 stickers and wets). I'm using the Michelin 27/65 front and 31/71 rear. 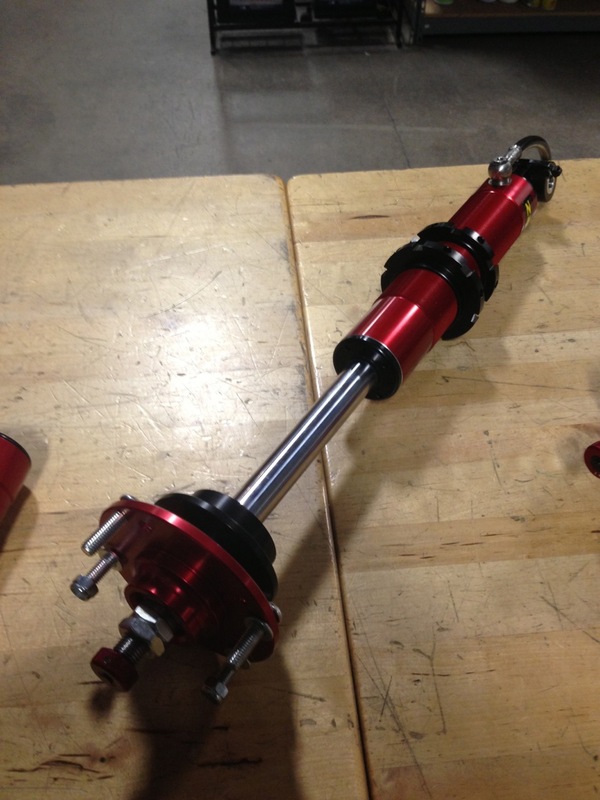 I have been looking for a really good, strong, light one piece aluminum wheel that will be used on the car next season. BBS weren't really interested and my back up choice 3 piece is out of stock in the sizes I need until early next year. Rays weren't responsive. 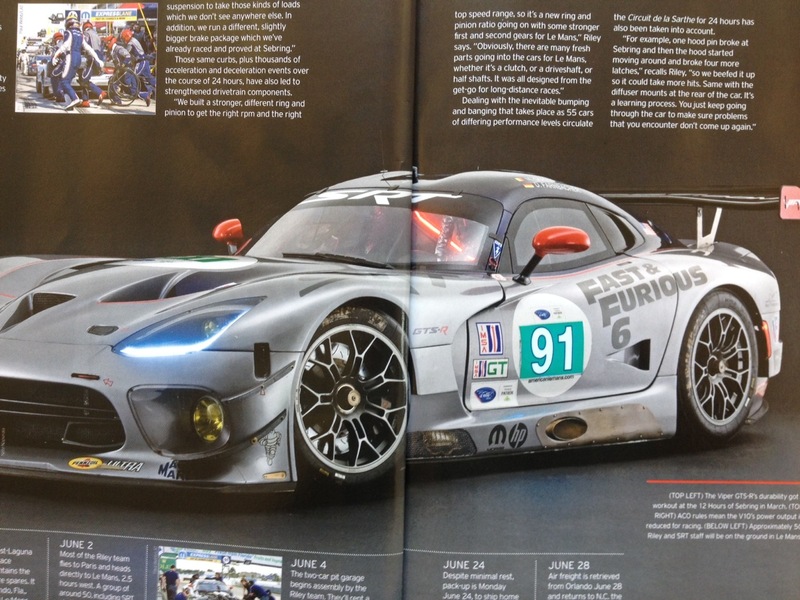 But Motegi have been really excited about the project. 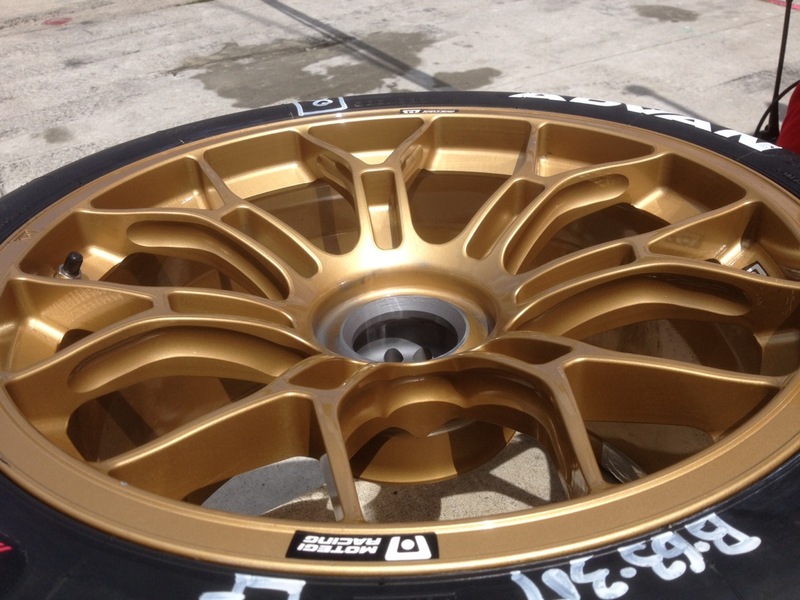 This week I'm ordering 4 sets of the wheels shown in gold and on the Viper. 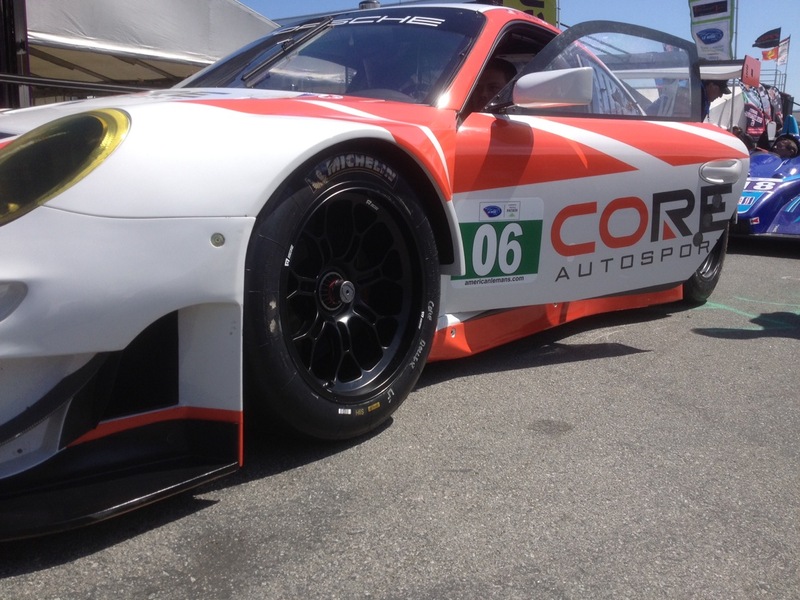 It turns out Core, Paul Miller and some of the Ferrari teams are also using them. Exact specs of the wheels for my car will be finalized in the next couple of days with Motegi. 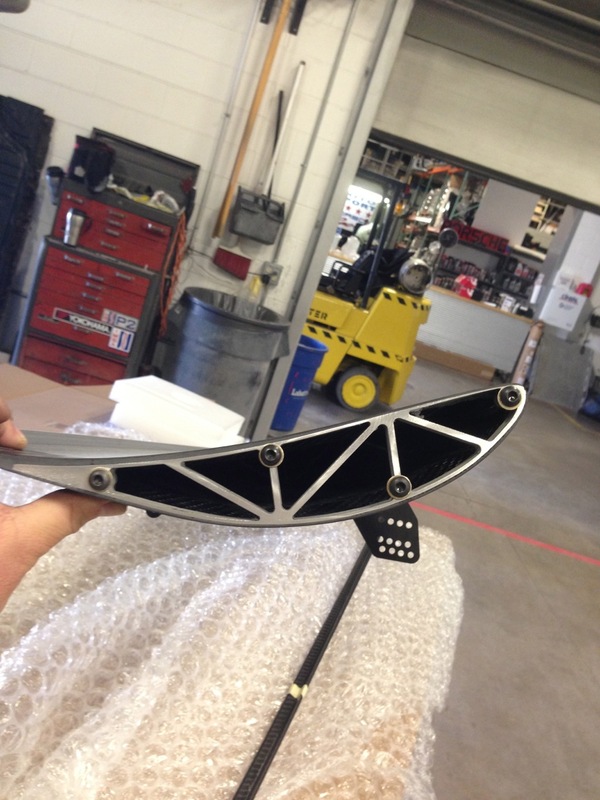 They will be black, 10-11" front and 12.5-13" rear with custom offsets. 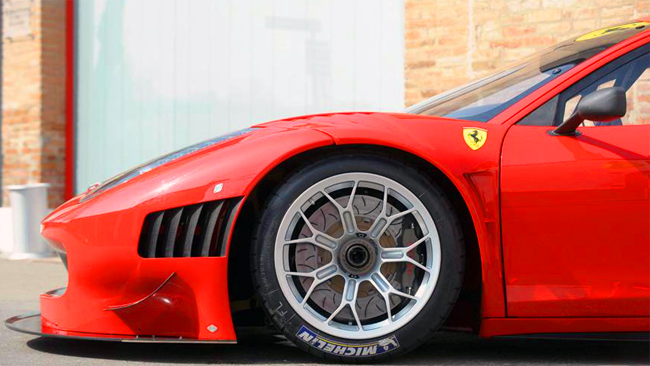 Both front and rear wheels weigh less than 18lbs. They should arrive before Christmas. amazing build. i too am interested in the rear wing with the additional scoop in front. What are the price for the motegi per set? 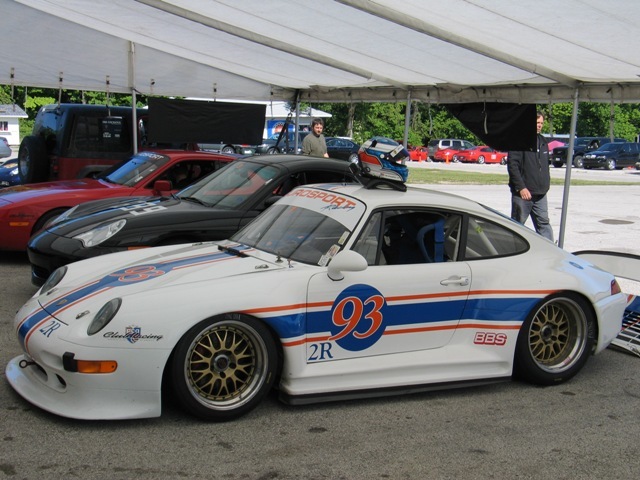 I have had great experience with FINSPEED wheels on my race car. 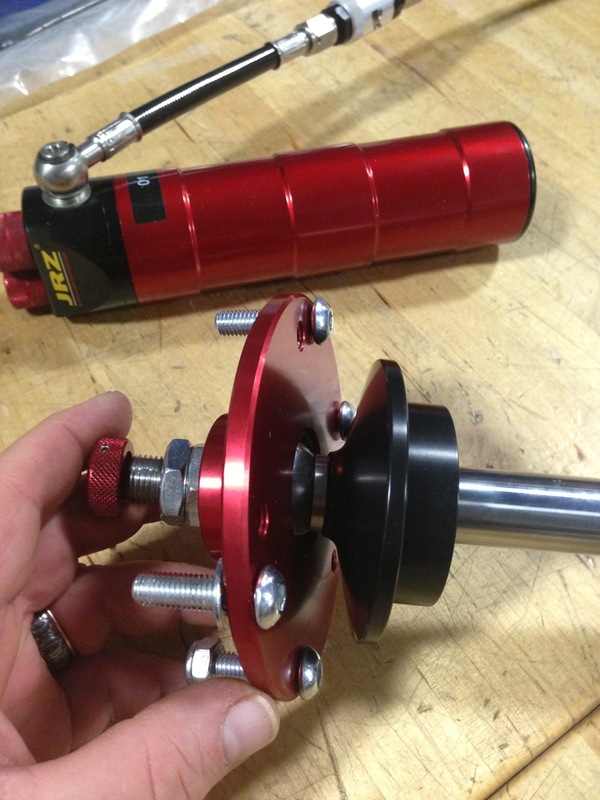 They are made in the USA in house and the quality and attention to detail i have not seen on any other wheel i have ever used. Awesome build!! 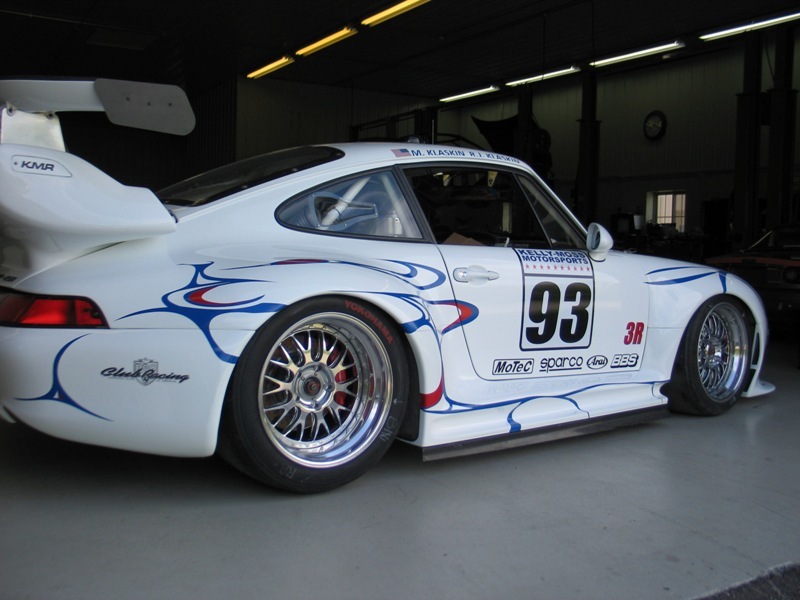 Have you looked into Forgeline wheels? The have a new forged one piece that available in several styles etc. www.forgeline.com They do centerlock and are every bit as nice as anything out there, if not nicer. The machine work is gorgeous!!! Not affiliated just a happy customer and friends of the owner. Beautiful car!! 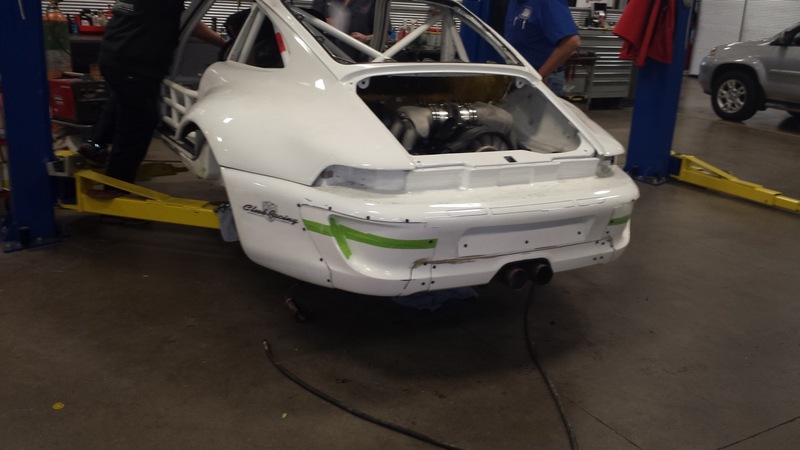 lopro and 405 the rear bumper, tail base and wing have been changed for better function whilst trying to retain the 993 KMR-RSR form. 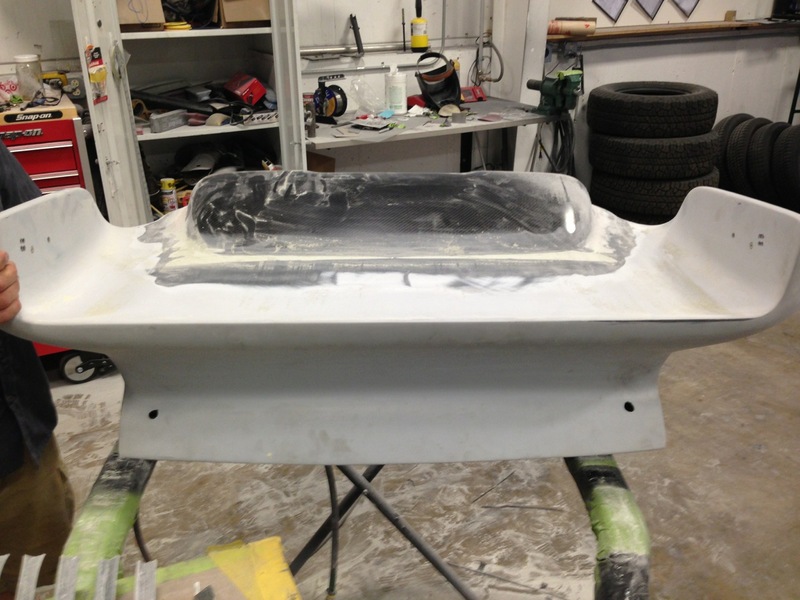 They guys in the Kelly Moss body shop have done a great job fabricating these parts which are now at Crawford having molds and finished parts produced. Down the road I will probably make these parts available for sale. 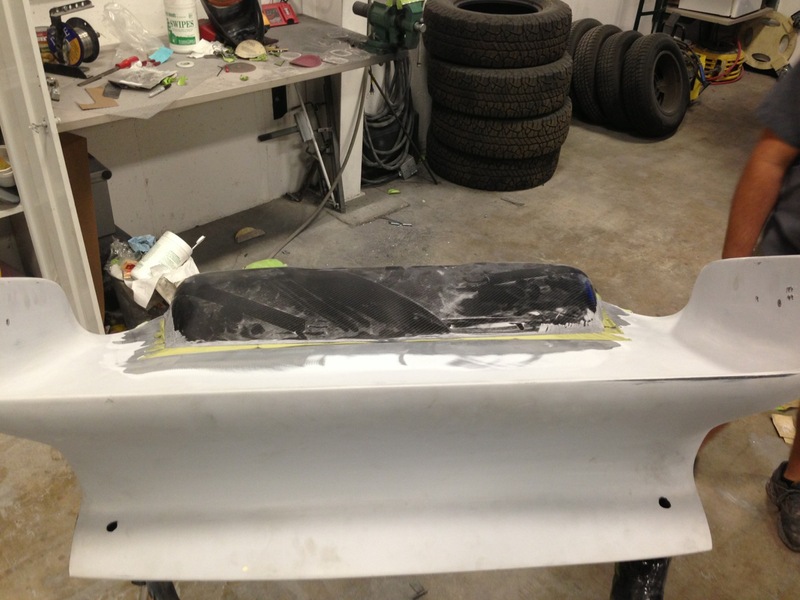 We started with a 993 Clubsport tail base and a splash of a 997 Cup air intake from Getty. These were then mated together, roughed and finished. 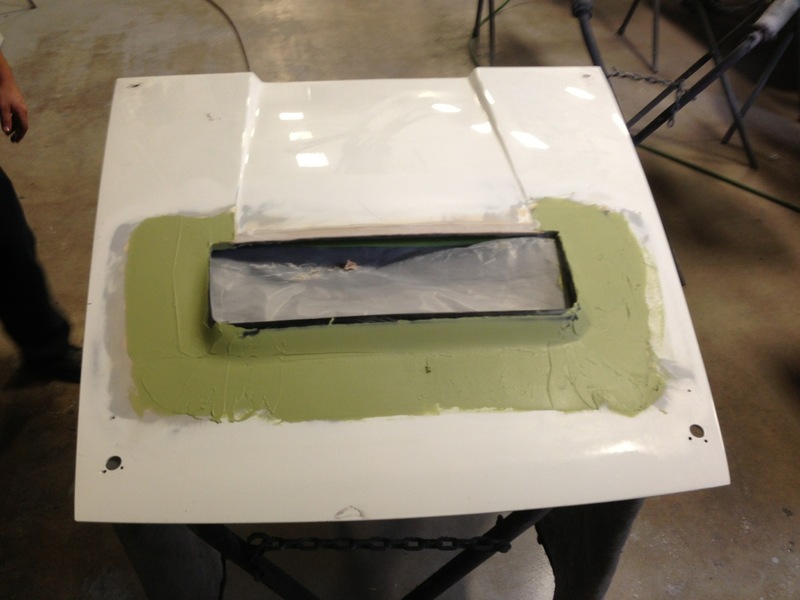 This gives better airflow into the engine bay for both the fuel injection and cooling. 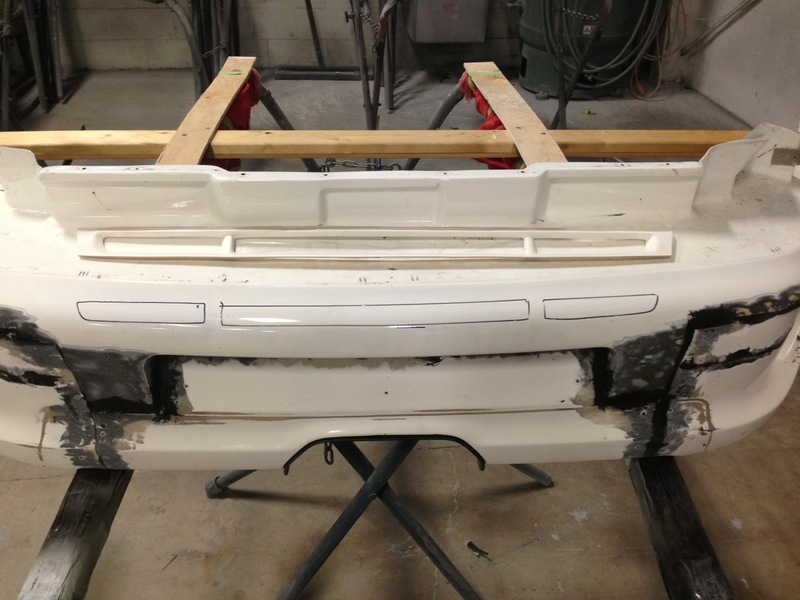 The rear bumper started with what was already on the car and was mated to 997 Cup bumper air vents. 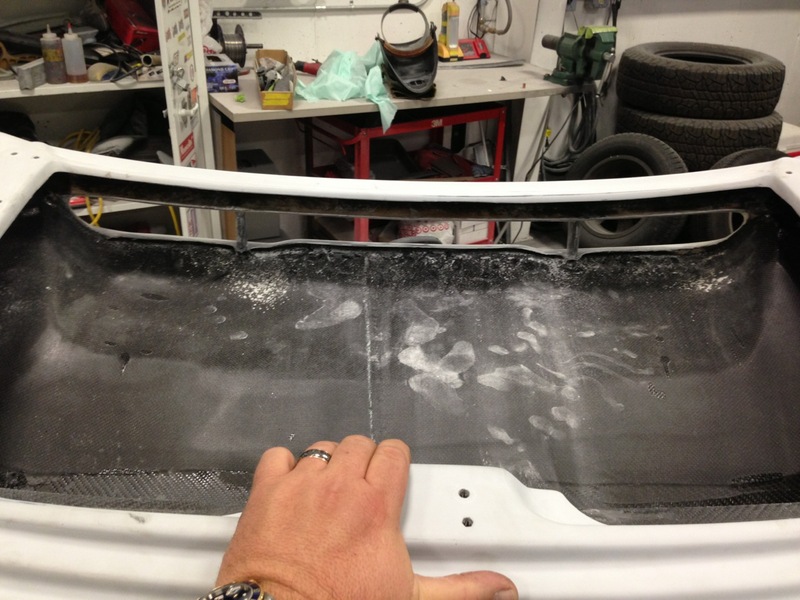 This prevents the rear bumper acting like a parachute and improves airflow. 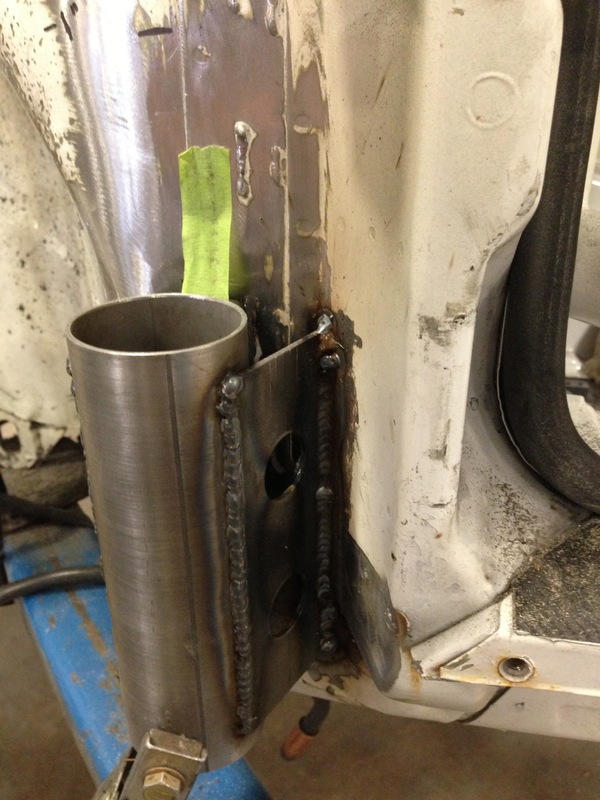 It was then fitted on the car to make sure the clearances were OK with the Rothsport Racing exhaust. Making these is a painstaking and time consuming process all done by hand. 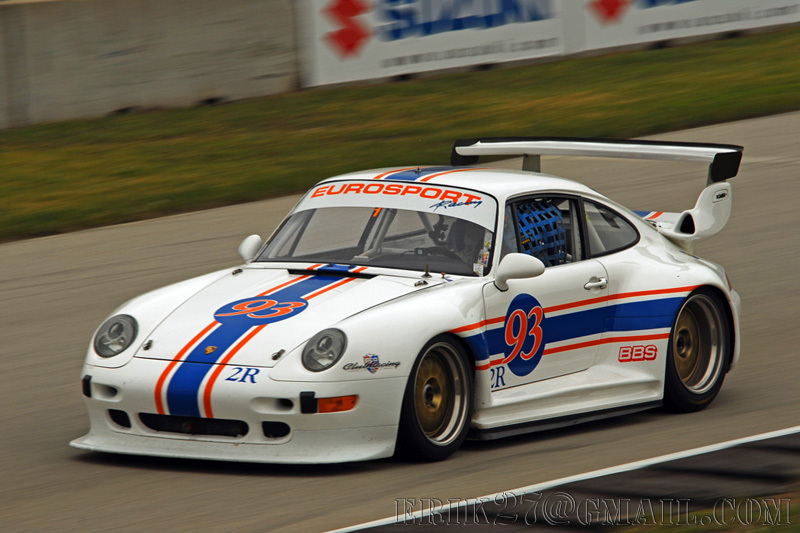 The rear wing is from Crawford and measures 74". 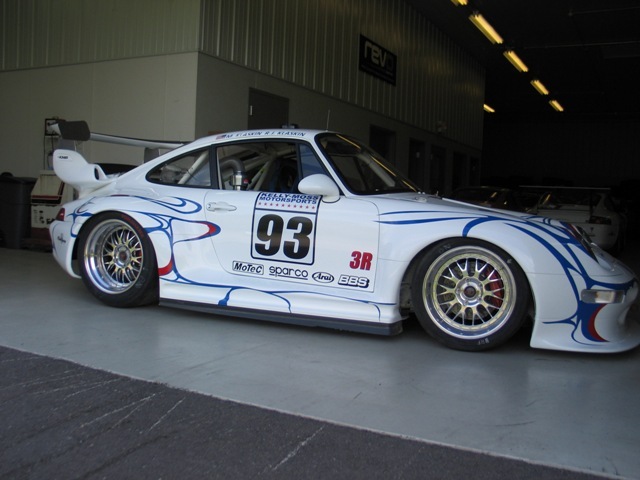 Per PCA rules it needed to remain inside the bodywork of the car which is 75" at the rear wheels.